Jacky is an active, curious, playful kitten! She is petite but mighty. While she doesn’t like to be picked up, Jacky is a lap, head and arm cat. After she finishes her adventures around the house she will search out the humans for companionship. She enjoys cuddling in bed with the humans at night. 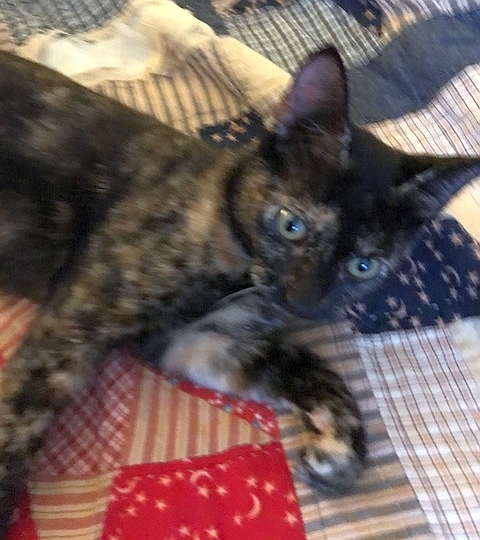 Like most Torties, Jacky is a little shy when she first meets you. No worries. She will quickly include you into her circle. Her purrs are an audible affirmation of her love. Jacky gets along with her foster cat brother and the smaller calmer dog in the house. 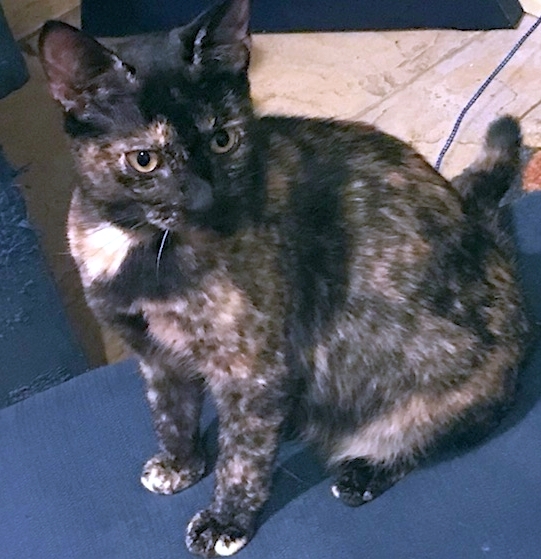 And she has not given up on making friends with the grumpy female tortie cat who lives with her foster family. She doesn’t seem to understand why her cuteness hasn’t won over that cranky cat. Jacky’s ideal forever family would have a young feline companion and humans who love cuddling. Estimated date of birth: April 2018. For more information or to meet Jacky, please email cats@lostdogrescue.org or call (703)295-DOGS.